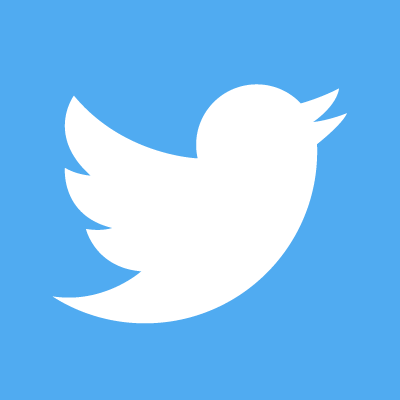 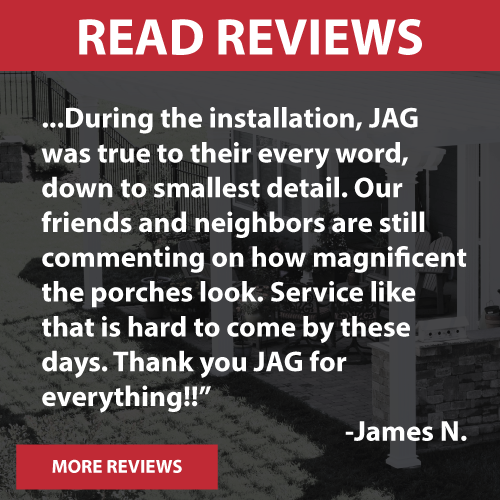 JAG got a call from a nice couple in Cornelius asking for help with shade on their open patio so they could sit out without the sun beating down on them. 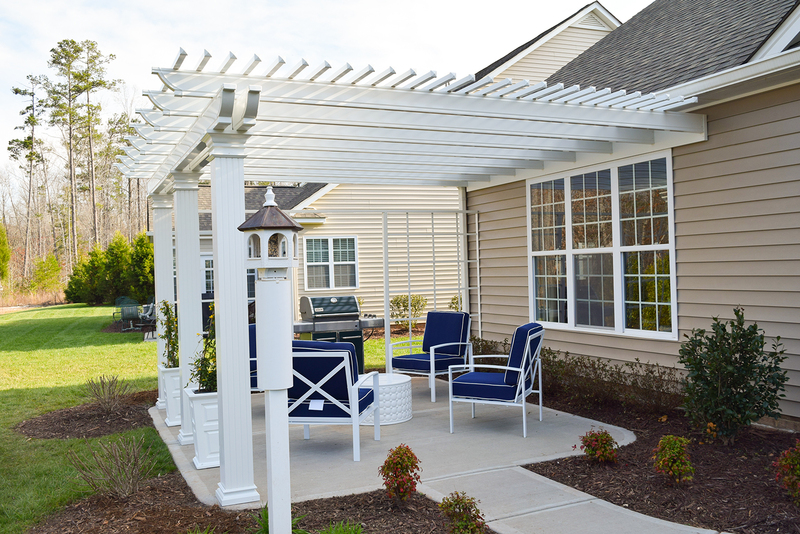 See the pergola below giving this couple their shaded sitting area finished off with a grill pad and landscaping. 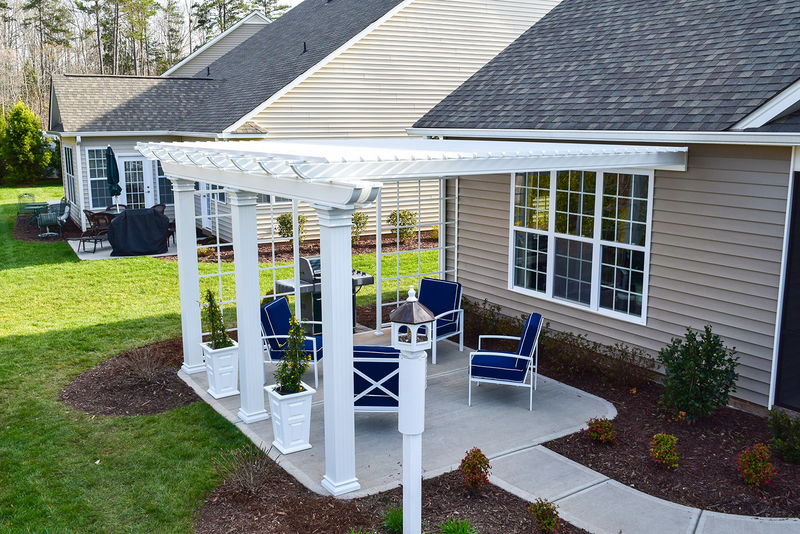 Spring is here, so call JAG for your backyard living space today. 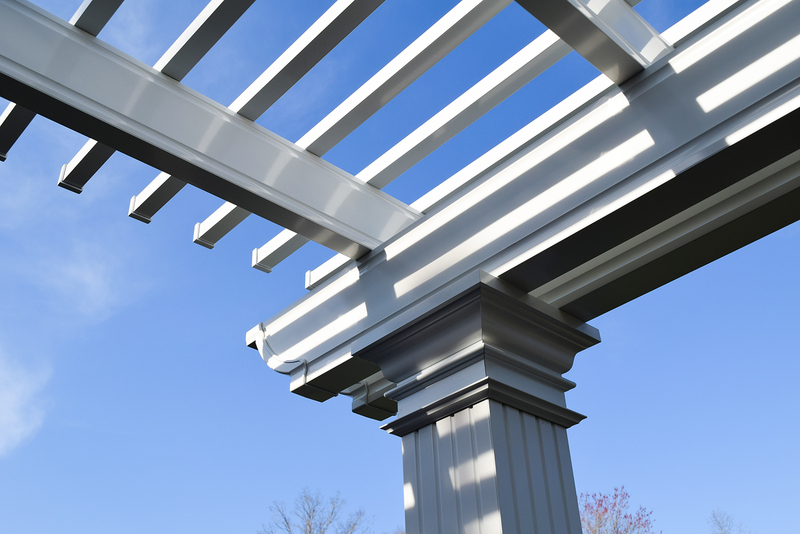 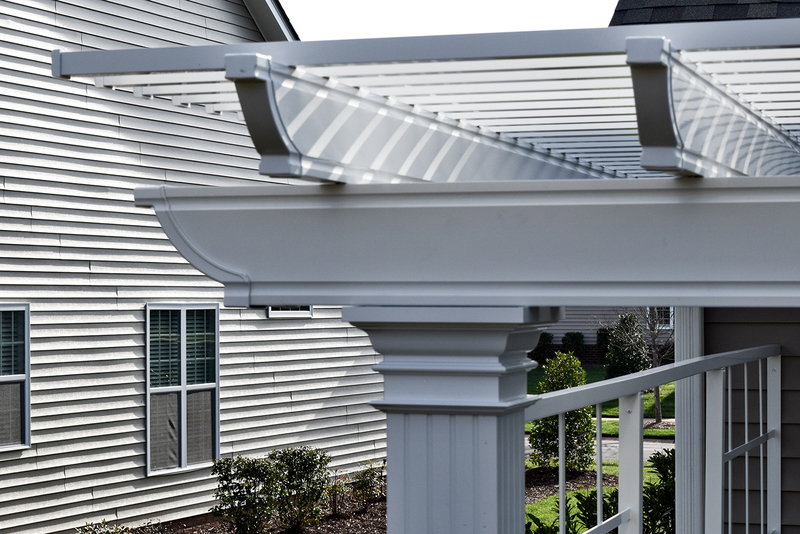 This pergola is an extruded aluminum, painted with a powder coating so long lasting and full of details like double headers, chunky fluted columns, crown molding detail, column skirts and tons of shade tubes to help hide from the sun above. 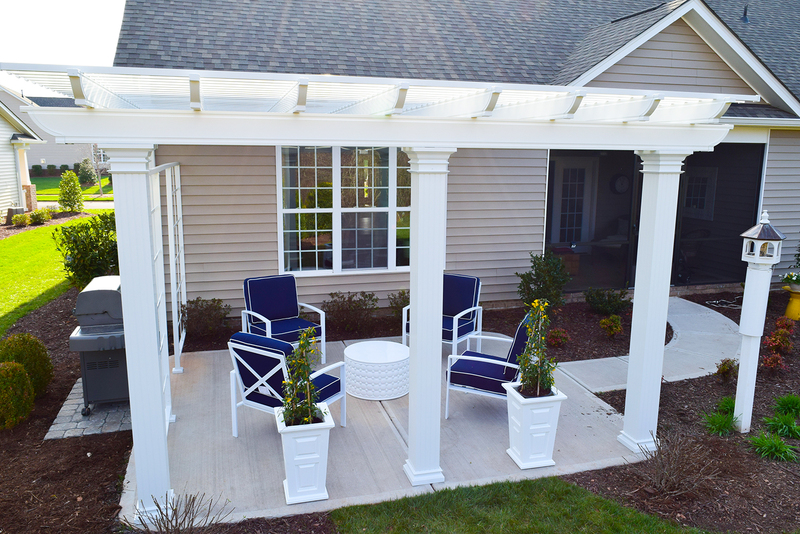 This project was finished off with a trellis screen wall to grow their ivy and a gas grill pad.